Eco-fashion isn’t only trending, it’s necessary. The fashion industry is the second most polluting industry in the world, the first being the oil industry. In an attempt to change that, students from Massachusetts College of Art and Design partnered with Eileen Fisher to create stylish new looks out of gently used garments from GREEN EILEEN. The collaboration is part of MassArt’s Sustainable Fashion summer course created by Professor Jenn Varekamp. Along with up-cycling, they used additional sustainable design strategies, such as low waste pattern drafting and low chemical dyeing, to refashion the garments for a second life. The project is a unique opportunity for the students to collaborate with a very well-established fashion company and leader in sustainability. 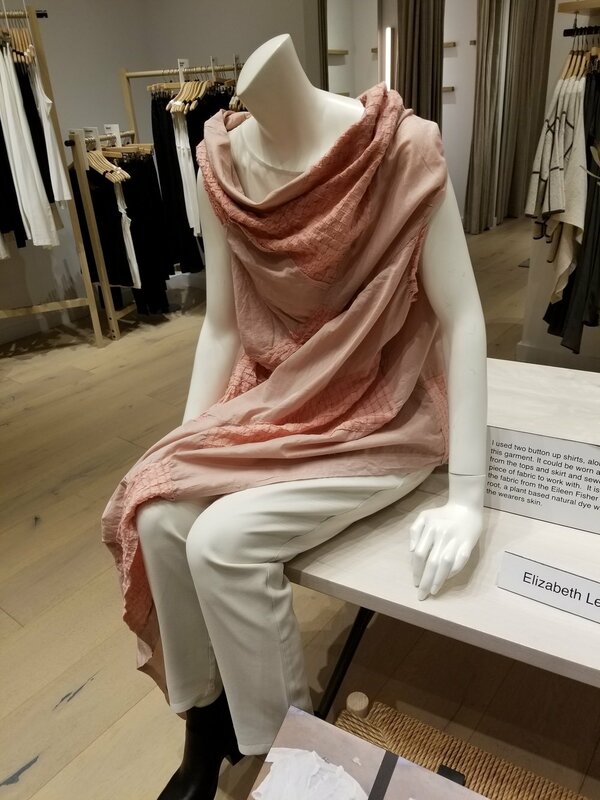 A fall reception at the Eileen Fisher store in Chestnut Hill, Massachusetts showcased the final designs, allowing the public to see student work. To learn more about MassArt and Eileen Fisher's commitment to sustainability visit Massart.edu and Eileen Fisher.